Born in Massachusetts and living in New England as a young child, Deborah was inspired by nature’s rich palette of autumn colors. Her love of the outdoors and its tiniest, often unnoticed details, are reflected in her paintings. They are bathed in the hues of nature, and reveal her training in botanical illustration. 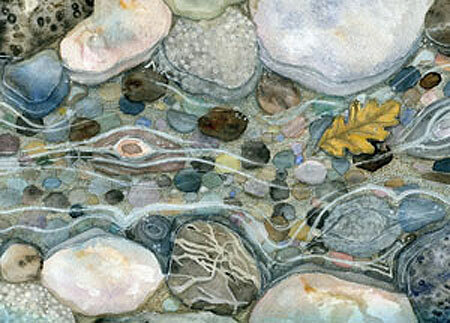 Deborah’s artwork often focuses on the simple – leaves, rocks, and the tiny creatures hiding within, capturing the essence of the forest floor and its ever-changing tapestry of texture, depth, and life. 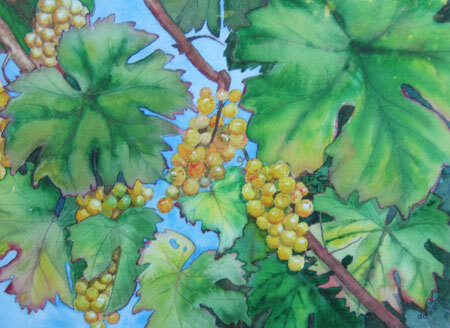 Deborah works in watercolor, ink, pencil, pastel, colored pencils, and clay. This entry was posted in Deborah Dal Zuffo, Studio Tour 10 and tagged Deborah Dal Zuffo, Three Rivers Artists' Studio Tour on February 20, 2012 by Elsah.